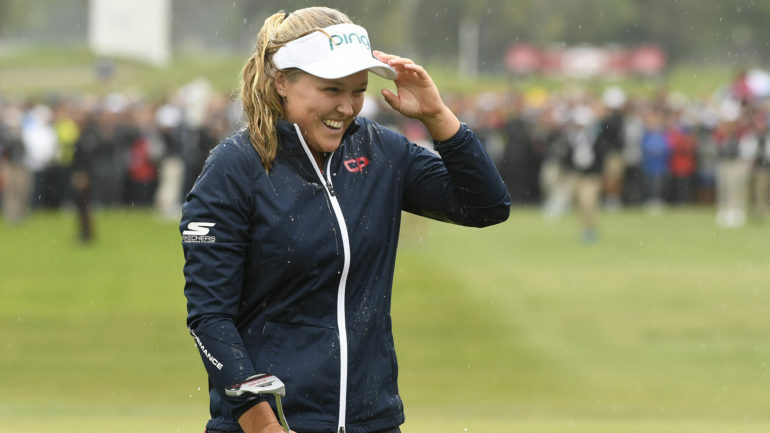 Feeding off the energy of fans in the galleries, but not letting it overwhelm her, is now a skill in Brooke Henderson’s toolbox. 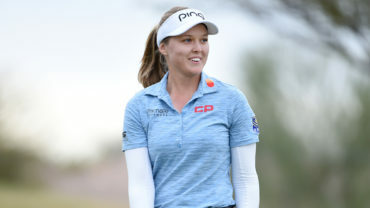 Labelled the face of Canadian golf at age 14 when she played in her first CP Women’s Open, Henderson had to learn how to manage her own intense desire to win on home turf, and the fervent, vocal wishes of home fans that she do so. 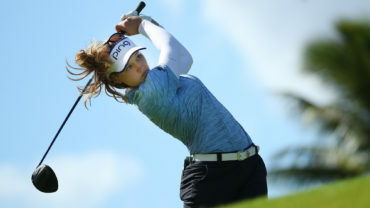 The 20-year-old from Smith Falls, Ont., solved that puzzle at Regina’s Wascana Country Club on Sunday where she became the first Canadian in 45 years to win the CP Women’s Open. “I played my first CP Women’s Open seven years ago. I just felt like I was slowly getting better, getting used to the attention,” Henderson said Monday in Calgary. 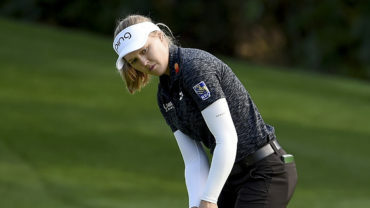 Less than 24 hours after hoisting the trophy she superstitiously wouldn’t touch until she won it, Henderson was at Calgary’s Canyon Meadows Golf and Country club for a women’s golf clinic and panel discussion. The course is hosting the men in the PGA Tour Champions Shaw Charity Classic starting Friday. Henderson’s visit was a stopover en route to Portland, Ore., and the Cambia Portland Classic, which she won in both 2015 and 2016. Seeing England’s Georgia Hall claim the Ricoh Women’s British Open at Royal Lytham and St Annes Golf Club in early August inspired Henderson as she headed to her own national championship. But she was taken aback by the size of Wascana’s galleries when she stepped to the first tee box for her opening round. Henderson still engaged with spectators, however. She smiled, waved and high-fived for three rounds until Sunday when her game mask was firmly on. “Heading into Sunday, I just wanted to give it everything that I had and I wanted to keep that focus from when I first teed off until the 18th hole,” Henderson explained. “I definitely did show my appreciation, but I was much more serious and much more focused. The mask slipped as she walked to the 18th green for a birdie putt and she let the moment in. “It was the first time all day I could really take a deep breath and realize that I’d actually just won,” she explained. What followed was whirlwind of media, autographs and fielding congratulatory messages on her phone, including one from Wayne Gretzky. Henderson admitted not sleeping well after her four-stroke victory in part because she dreamed she hadn’t won and had to keep playing. 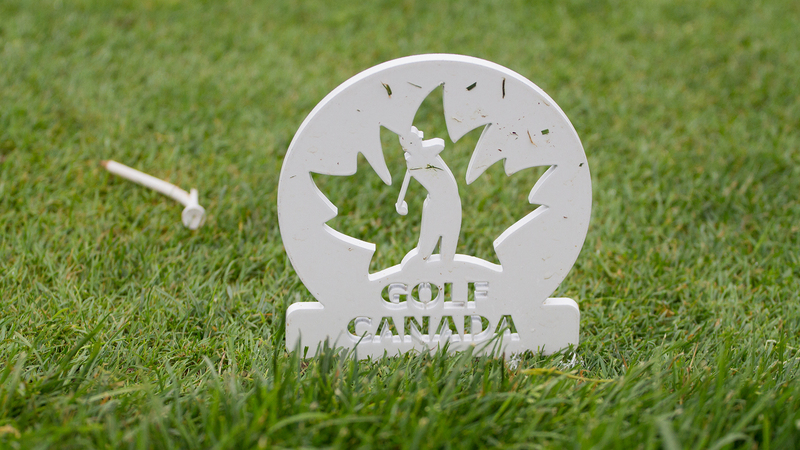 Only three other Canadian golfers since 1954 have won an Open at home is a testament to how difficult it is. Henderson took her game management to a new level to achieve it. It is now in her skill set at just 20 years old. She vaulted into world’s top 10 to No. 8 this week and sits second on the LPGA’s 2018 money list. Henderson now targets a second career major Sept. 13-16 at the US$3.8 million Evian Championship in France. She was just 18 when she won the 2016 KPMG Women’s PGA Championship. Having checked a Canadian win off her career bucket list, Henderson says she now feels less pressure in her game. “There is definitely a lot more pressure playing here at home in Canada, but it’s amazing I know I have that much support and people are cheering for me so hard,” she said.